His art style is like a fusion of Africa in a futuristic setting (Afrofuturism he calls it)… You know what. Just follow Dananayi’s Instagram and see it for yourself because I won’t do his work justice if I describe it. You can also check out his illustrations on Art Station. The artists are not required to prefix their name with “art of” that’s just a weird coincidence… Anyway, Tatenda Ndlovu is another Digital Artist and Illustrator who impressed me and you can check out some of her work on Art Station, Facebook and Instagram. This was the comic that managed to impress me most and that’s because of the storyline which doesn’t run away from its roots… Mutupo is a comic by Kudakwashe Rwizi and the premise of the storyline is this; There are superheroes and villains and all these characters have their powers defined by their totem. So a character whose totem is an elephant would have raw power for instance. Anyway, you can read the 0 version of the Mutupo comic and see if that’s your vibe or not. Afro Tokyo is another comic book produced locally and according to the writers it’s a fusion of manga and UFC (I hope I didn’t get that wrong) but they also had one of the coolest stands with an Xbox version of the immensely popular DragonBall FighterZ available to play if you bought their stuff. I love me some Goku so I had to go and see what they are doing. You can also follow their Twitter, and Instagram for updates. 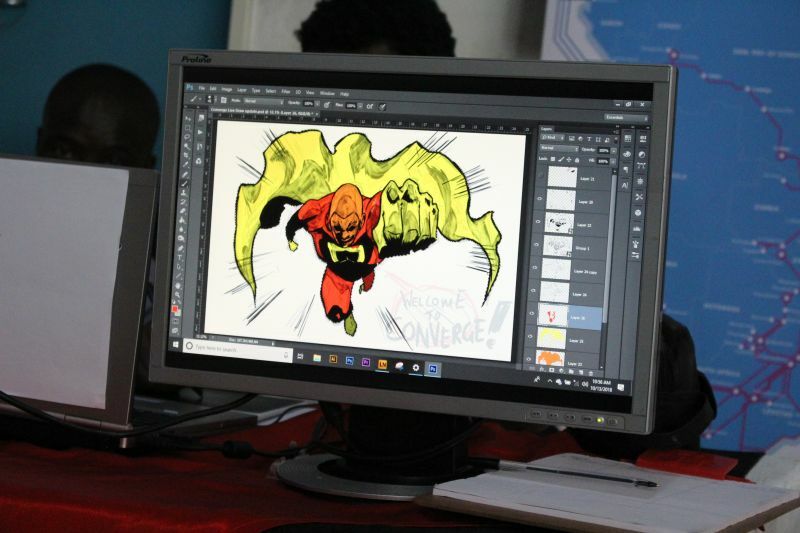 I don’t know how many Animation studios there are in Zim but what I do know is that the ones who came through yesterday had some pretty cool stuff to share. Dream Box Animation and Kakic Universe also get honourable mentions and I would encourage you to check out their stuff as well.